On Tuesday, in our Blake Street’s Youth Movement series, we detailed the resiliency Chad Bettis displayed to become the Rockies’ 2016 wins leader. 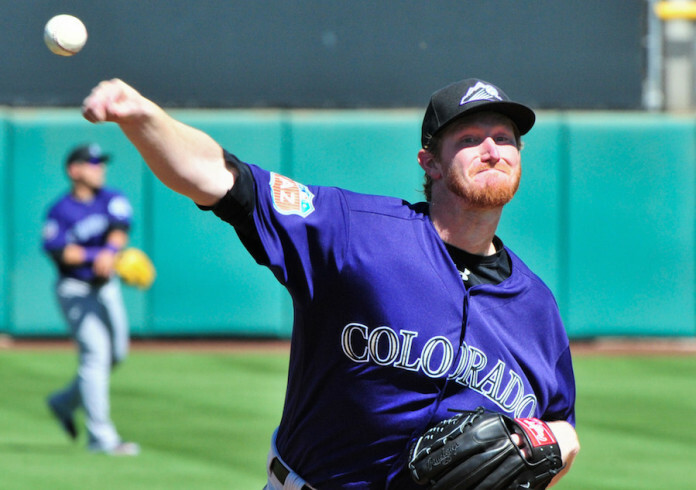 Today, we’ll be looking at Eddie Butler who arguably had his most difficult season starting but found a role for himself in the bullpen late in the year. Eddie Butler raised the bar for himself in 2016, but not in the way he had anticipated to start the season. During the first half of the year, Butler’s sinker and slider flattened out, and his changeup became ineffective. Butler worked on staying on top of the rubber and the ball while getting extension and finding a consistent rhythm. But 2016 wasn’t the hardest year for Butler. That year came in 2014, when he was coming off the DL. “The worst season was 2014, because I was on the DL trying to battle back from injury,” he said. “Sitting there watching games and I can’t do anything. So that was rough. The end of that season just feeling defeated, everything was a struggle. This year, when things weren’t going as well, I still felt better about it. This year he could be proactive about his improvement, even if it was from an unfamiliar place like the bullpen. For Butler to stay up in Denver, he will need to miss more bats. Most likely, Butler will return in 2017 as a reliever, but that doesn’t stop him from pursuing his mentality. Having an abundance of good options fighting for a starting position has never been something the Rockies have experienced. Now it’s something that will motivate Butler to improve even more. That’s the change 2016 gave the Rockies. This is a part of a week-long series. Make sure to check back tomorrow, to hear how Trevor Story approached the season after he missed the rest of his stellar rookie campaign with a thumb injury. If you missed yesterday’s story about Chad Bettis, click here.